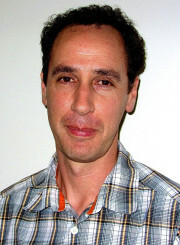 Steve originally trained as an Occupational Therapist and then trained as a Clinical Psychologist in the United States. Steve has worked in NZ and the USA in both public and not-for profit sectors. He has a strong background in counselling and rehabilitation of young people and adults. Steve is very passionate about working with people who are experiencing psychological difficulties and helping them to understand their situation and develop a path forward. Due to his Occupational Therapy background he generally adopts a functional and practical approach during therapy. Steve has worked with many client presentations with a particular interest in working with clients who are experiencing anxiety, depression and life stress. Additional experience in working with clients who have a physical disability such as a traumatic brain injury.